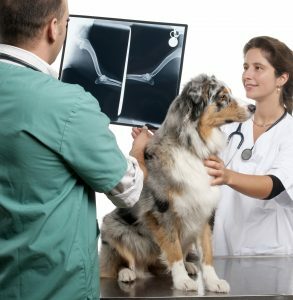 When you hear the words “succession planning,” you may think that this term has no relevance for you as a veterinarian. However, succession planning is not simply applicable to CEO’s of major corporations. All practice owners should look to the future and create a plan to maximize the selling potential of their businesses. A good succession plan will keep your practice in top physical and financial condition. It will also help you to identify potential buyers in advance. By working proactively, you can ensure that you will get the most value when you sell your clinic. The accountants at Reliance Consulting, LLC offer specialized succession planning for veterinarians. They understand the rapidly changing nature of this field, and they can help you develop a forward-looking plan. Do not wait to secure your future. Contact Reliance Consulting, LLC today and begin creating your succession plan. Applied to veterinarians, a succession plan is a strategy to maximize the selling potential of your practice. Succession planning will allow you to retire at a time of your choosing. It will also help you to get the most from your practice when you are ready to sell. Finally, when you plan ahead for this sale, you can maximize your tax benefits. Succession planning is distinct from retirement planning, although both are important if you want to enjoy financial security in your later years. For full benefits, you should start creating your succession plan as much as a decade in advance. When you begin early, you can develop a more detailed strategy. An asset sale: You will make an asset sale if you plan to sell your entire practice, including the building and equipment. You could sell it to a single buyer or multiple buyers. Typically, there are certain things you will exclude from the sale, and you should identify these items in advance. A stock sale: A stock sale occurs when a buyer purchases a share of the practice. You might conduct a stock sale if you are a current shareholder in a veterinary practice. Your sale could take place immediately, or your practice could transition over several years. A succession plan can benefit you in several ways. Creates a plan of action: Like a business plan, a succession plan provides tangible guidelines as you prepare for the future. Helps maximize tax benefits: When you plan ahead for your sale with an experienced CPA, you can minimize the amount of taxes you will have to pay. Identify potential buyers in advance: Often, veterinarians assume they will find someone to purchase their practice when they are ready to retire. Often, this is not the case. As a result, they are forced to take a hit on their practice or continue working for several years. A succession plan will help you retire right on schedule. Keep it in the family: Sadly, most family businesses do not last for more than two generations. If your practice is a family operation, a succession plan can help it survive for multiple generations. Create a strong foundation for retirement: Most vets rely heavily on the sale of their practice when they are ready to retire. Pre-planning will give you stability and peace of mind in the future. A profitable succession plan will depend on several key factors. First, to maximize your selling potential, you must continue to expand and grow your practice. After all, the more financially viable your clinic, the more likely you are to find a buyer. Second, you must maintain the physical soundness of your practice. This means keeping your building in top condition and investing in standard veterinary equipment. Finally, you must begin to identify and cultivate relationships with potential buyers. If you plan to sell to an associate, start to train him or her in the financial and practical operations of the practice. Why Choose Reliance Consulting for Your Succession Planning? As you can see, there are a lot of factors to consider when creating your succession plan. Therefore, you will benefit from the expertise of a CPA. At Reliance Consulting, LLC, we form lasting relationships with our clients. After helping you create your succession plan, we will provide ongoing guidance. In this way, we can help you stick to your plan, conduct a profitable sale, and enjoy a comfortable, secure retirement. It is never too early to starting thinking about the sale of your veterinary practice. Schedule a consultation and start creating your succession plan. We work with clients from the greater Tampa area, including St. Petersburg, Clearwater, Sarasota, Pasco, Lakeland, Manatee, and the surrounding Tampa Bay communities.